And it'll cost you. Big time. 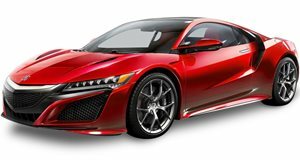 Not everyone has been a fan of the second generation Acura NSX, particularly its hybrid system. And then the racing-spec GT3 NSX was launch, sans hybrid tech. That was the NSX many were clamoring for, and now they can have it – if they race in GT3. Honda Performance Development has just announced that GT3 racing team customers now place an order for the NSX GT3 through Acuraclientracing.com, but it’ll cost them. While the standard NSX begins at around $157,000, the NSX GT3 carries a starting price of about $542,500, though final US pricing has yet to be announced. Powered by the same 3.5-liter V6 as the street legal NSX, the main difference is that the GT3 version is paired to a six-speed sequential-shift gearbox sending power to the rear wheels only, opposed to being all-wheel-drive. The GT3, however, is not assembled in Ohio like the regular NSX, but in Italy by JAS Motorsport. The NSX GT3 is also eligible to race in more than two dozen FIA-sanctioned racing series throughout the world, such as the Blancpain GT Series and 24 Hours of Nurburgring. In the US it can race in the Pirelli World Challenge and WeatherTech Sports Car Championship. 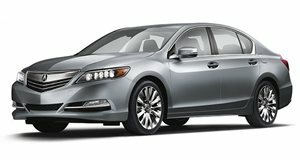 2016 Acura RLX Review: Does It Deserve Destruction? Acura wanted us to eat our words and we did...but just a few.